﻿﻿After a tough spell at work it’s been great to just run some stock back and forth today – no rules, no schedules, anything goes . Fortunately, GWR trains at the turn of the century lend themselves pretty well to that state of mind! 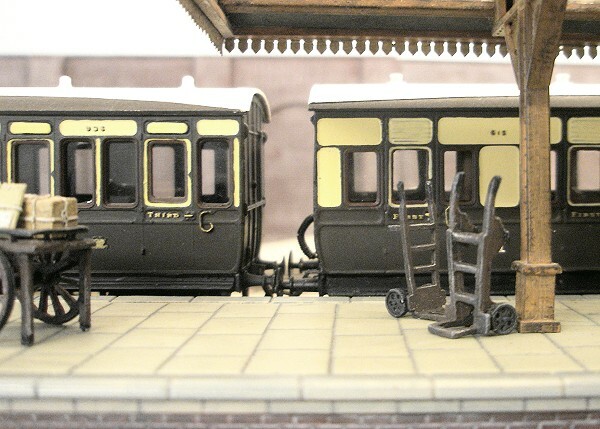 Above, we see the Westbury stopping train with a motley assembly of stock, as seen on many secondary trains of the period. Four-wheelers, six-wheelers and bogie stock all in the same train. Three different roof-profiles on view here: Clerestory roof on the non-corridor C10 Third (RTR-bashed Triang), single-arc roof on the six-wheel R2 First (Blacksmith kit) and 3-arc roof on the Siphon (K’s kit). Two siphons of very different height and appearance. On the right is the open-slatted 6-wheeler to Diagram O1. 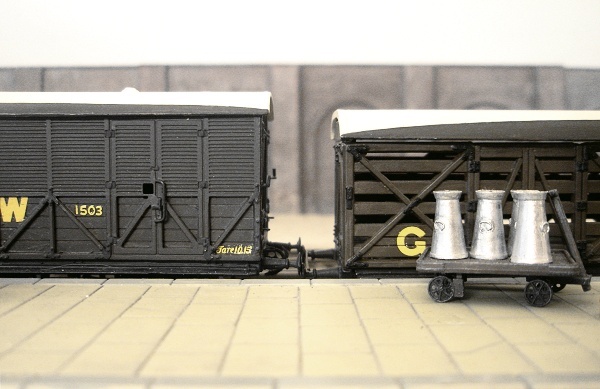 On the left is a 4-wheel Siphon C (Shirescenes kit) with the later more modern look and higher sides. 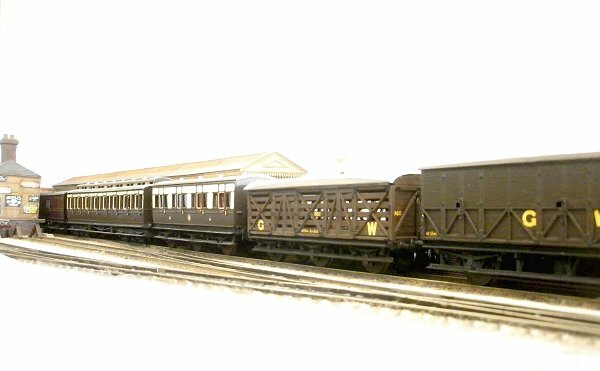 The eaves panels just below the roof also varied in height and added further to the variety of Edwardian GWR trains. The R2 on the right has the early deep panels, while the All Third S9 on the left sports the later more shallow style. During the 1900s some of the graceful Dean mainline classes began to be allocated to lesser secondary services. Here is 2-4-0 No. 3245 of the “3232” class. 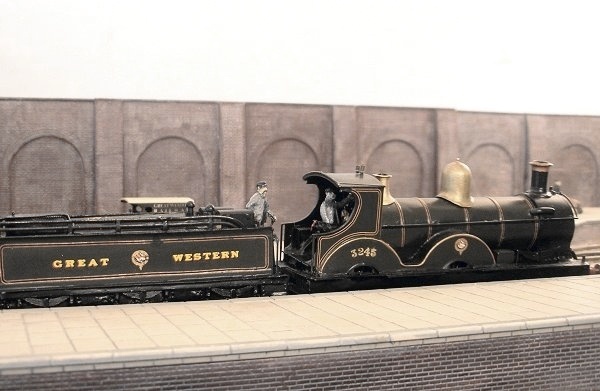 This loco (a Finney kit) has recently been brought back to life after a long period of motor failure. 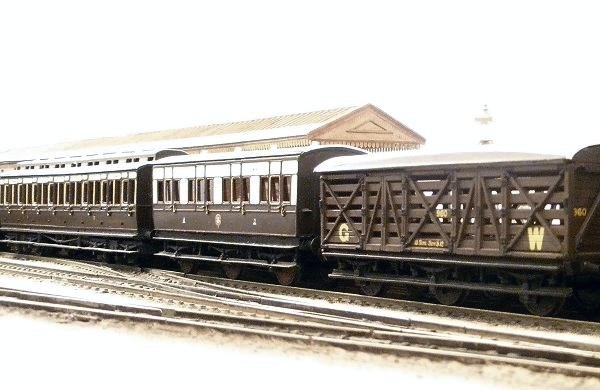 The Edwardian period saw a number of livery changes on the GWR within a short span of time. 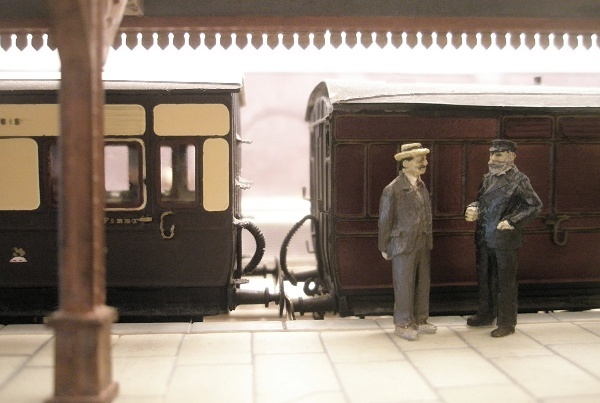 The coach on the left carries my simplified version of the 1880-1908 chocolate and cream livery, while on the right is a six-wheel PBV in the lake livery of 1912. A closer look at the latter coach reveals that this a rather unfinished restoration job! I did say “anything goes”. A last shot of a couple of coaches in the bay. It’s a funny old hobby we have: Watching some bits of metal and plastic moving back and forth, and getting a kick out of it! But it sure is relaxing. PS: According to Wikipedia... "A motley crew is a cliché for a roughly-organized assembly of characters. Motley crews are, by definition, non-uniform and undisciplined as a group. They are characterised by containing characters of conflicting personality [and] varying backgrounds...". 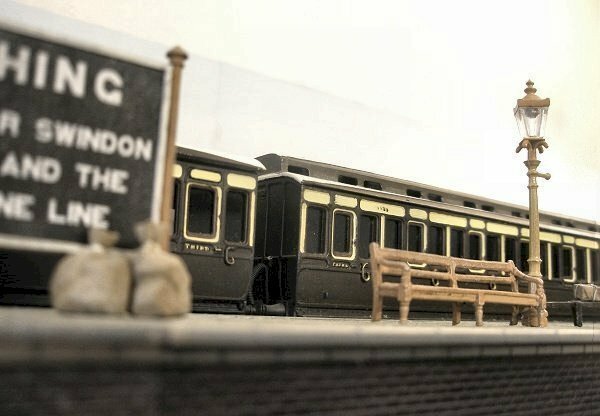 Sounds just like my trains!